Foxtail millet (Setaria italica (L.) P. Beauv.) is one of the oldest cultivated cereal grain and the most economically important species of the Setaria genus. 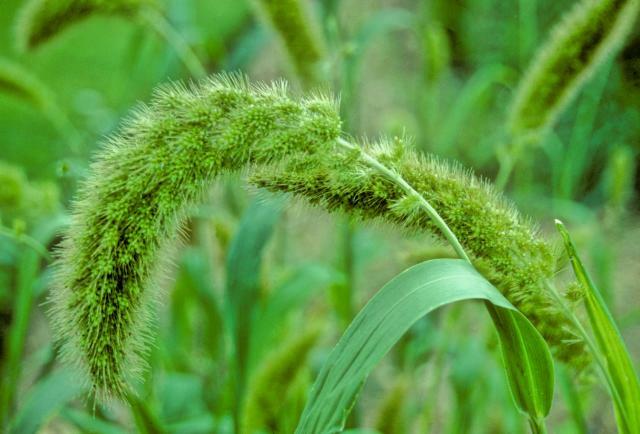 Foxtail millet is a dual-purpose plant grown for its grain, which is used for human food and animal feeding, and for fodder (see the Foxtail millet forage datasheet). There are many wild and cultivated types, and the latter are divided into many cultivars with differences in height, habit, structure of inflorescences, number and colour of grain (Brink, 2006; Prasada Rao et al., 1987). 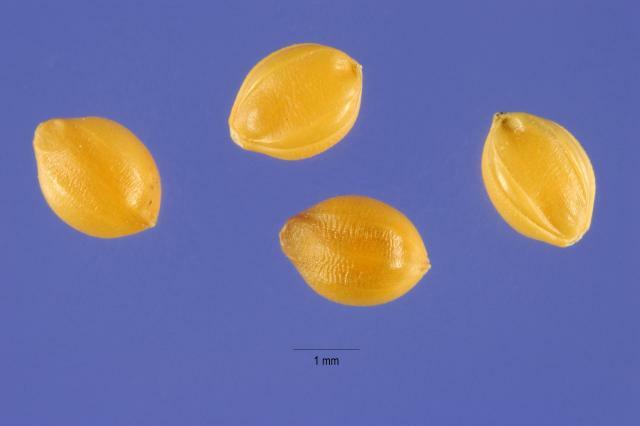 The grain of foxtail millet is ovoid in shape, 2 mm long, pale yellow to orange, red, brown or black in colour. It is enclosed in thin hulls and should undergo de-husking before being stored and processed for food (Ecoport, 2011; FAO, 2011; Brink, 2006). The grain can be cooked in the same manner as rice and has many food applications (porridge, pudding, breads, cakes, flour, chips, rolls, noodles, etc.). It is an important staple food in India and northern China. Foxtail millet is fermented to make vinegar and wine in China, and to make beer in Russia and Myanmar. Sprouted grains are eaten as a vegetable (Brink, 2006). The use of foxtail millet grains in livestock feeding is limited, though its importance as a human food has led to numerous studies investigating its value in poultry diets. This has been the case in India, where changes in food habits of the rural populations, who in some areas consume now more rice than millet, have resulted in a greater availability of millet grains for feed use (Rao et al., 2000). Foxtail millet may also appear as a less expensive energy source for livestock when maize prices are high (Rao et al., 2004). In Western countries, the grain is mainly used as bird feed. Products from foxtail millet processing, such as the bran resulting from dehulling, can also be used in animal feeding (Brink, 2006). Foxtail millet may have originated from China, where its cultivation dates back to 5000 BC. It probably spread from the highlands of Central China towards India and Europe. It can now be found all over the world. The major production centres are China and India. In Africa, foxtail millet can be found in upland areas in East Africa, Cameroon and southern Africa (Brink, 2006). In Europe, where it used to be cultivated as a summer crop until the 17th century, it has become marginal and Central Europe is now the main area of production (Panaud, 2006). It is very adaptive and can grow from sea level up to an altitude of 2000 m (Brink, 2006). Foxtail millet is a fast-growing summer annual and crop duration varies from 60 to 120 days. It grows best in places where annual rainfall ranges from 500 to 700 mm and occurs during summer. However, it will grow with 300-400 mm of annual rainfall, and in semi-arid areas with less than 125 mm in the 3 to 4 months of growth (Brink, 2006). Foxtail millet is frost sensitive and grows better between 16 and 26°C, though it has much larger temperature tolerance (5-35°C). It thrives on soils ranging from sandy to heavy clay (except saline soils) provided that the pH is between 5.5 and 8.3. It cannot tolerate waterlogging (FAO, 2011; Ecocrop, 2011; Brink, 2006). Production statistics for foxtail millet are scarce because they are usually combined with those of other millets. In the early 1990s, it was estimated that foxtail millet (5 million tons) represented about 18% of grain millet production, China being the main producer (ICRISAT/FAO, 1996). Once harvested, the grain is susceptible to heating in storage, which results in spoiling. It should, therefore, be dried thoroughly. The grain should be dehusked before storing as husks are attractive to insects. Dehusking can be done by beating the grains in a mortar with pestle, or by using rice processing apparatus, such as a cone polisher or a centrifugal sheller (FAO, 2011; Brink, 2006; Ravi, 2004). Foxtail millet can be sown as the sole crop or intercropped with legumes, cotton, or other cereals such as sorghum or other millets (for example finger millet). It is mainly grown as a rainfed crop but does well under irrigation (Brink, 2006). Maturity occurs within less than 90 days. Grains can be harvested manually or mechanically, by cutting off the panicles, followed by threshing (trampling by cattle or stone roller). Foxtail millet harvested for grain yields 800-900 kg grain/ha (up to 1800 kg in China) and 2.5 t straw/ha (FAO, 2011; Brink, 2006). Under irrigation, grain yields have reached 11 t/ha in experiments in China (Brink, 2006). As a quick growing species, it can be grown in contour strips for erosion control (FAO, 2011; Brink, 2006). It is also recommended for the "Forest Reclamation Approach" which consists in growing tree seedlings under fast-growing grass species. The cover provided by the grass is beneficial to the seedlings that can grow below them. However, foxtail millet can inhibit native species recruitment during its first year and may attract rodents and deer, which may be harmful to tree seedlings (Burger et al., 2009). Foxtail millet is a cereal grain with a moderate protein content (about 11-12% DM). Protein variability is quite large; low (about 9% DM) as well as very high values (over 20% DM) have been recorded (Mossé et al., 1989). 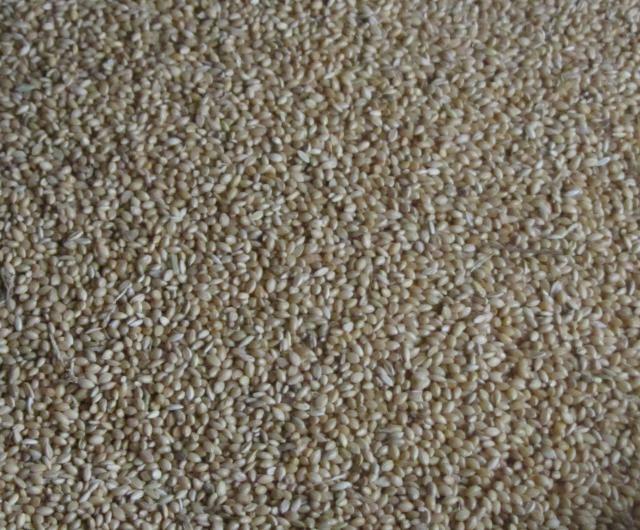 It is also a relatively coarse cereal grain with a crude fiber content above 8% DM. The starch content is about 50-55% DM (Kumar et al., 1998), which is quite low for a cereal, though varieties with about 70% starch exist (Krishnakumari et al., 1995). Very few published information about the use of foxtail millet grain for ruminants is available. In vitro DM digestibility was reported to be lower than 70% and comparable to that of groundnut meal. In vitro NDF digestibility (more than 50%) was comparable to those of maize grain products (Chandrasekharaiah et al., 2004). In sacco protein degradability was found to be 47% and Setaria italica provided more undegradable than degradable protein in the rumen (Chandrasekharaiah et al., 2002). Foxtail millet is suitable for feeding poultry due to its high crude protein content and high energy value, close to that of maize grain. It contains no major antinutritional factors. Its protein digestibility is high (Goodarzi Boroojeni et al., 2011). Most experiments on the partial or total replacement of maize grain by foxtail millet in broilers resulted in similar growth performance for both cereal grains (Reddy et al., 1997b; Baghel et al., 1982). Under some conditions, performance was even higher with foxtail millet than with maize (Goodarzi Boroojeni et al., 2011). Broilers fed foxtail millet performed better than with other millet species such as pearl millet (Pennisetum glaucum) or finger millet (Eleusine coracana). However, some experiments with starter broilers showed a small depression in growth rate at high inclusion levels (60%, total maize substitution) (Rao et al., 2004). Several methods aiming to increase the nutritive value of foxtail millet have been tested. Germination was unsuccessful, in some cases negative effects on performance were noted. However, pelleting had positive effects in starter diets (Reddy et al., 1997b). The effect of the inclusion of an enzyme cocktail was not significantly beneficial (Rao et al., 2004). Foxtail millet can be used as the sole cereal grain in well-formulated broiler diets. It should be used more carefully in starter broilers: the inclusion level should be lower than 40% or the diet should be pelleted. In layers, egg production and egg quality were maintained when foxtail millet completely replaced maize grain, although feed efficiency was decreased at the highest inclusion levels (Reddy et al., 1997a). In broiler breeders, performance was significantly decreased by the inclusion of high levels of foxtail millet in comparison with maize (Rao et al., 2000). Feed efficiency and body weight were also reduced while egg weight and quality were not affected. The lower pigment content of foxtail millet decreases egg yolk color when no other pigment source is used. In layer ducks, foxtail millet decreased egg number (although not significantly), and maintained feed intake. Egg weight increased so the egg mass produced was not affected. (Nageswara et al., 2003). Foxtail millet should be limited to 30 to 40% in layer diets in order to maintain feed efficiency. Where maize is scarce or expensive, the use of foxtail millet as the sole cereal grain is possible. Although rich in crude fibre, the bran from foxtail millet milling could replace wheat bran (10% of the diet) in relatively slow-growing broiler diets without adversely effecting performance (Kadirvel et al., 1994). No information on the use of foxtail millet grain in rabbit feeding is available from literature. Nevertheless, because it can be used without problems in poultry feeding, foxtail millet grain may be considered as an energy source in rabbit feeding, with a value comparable to barley. However direct experiments with rabbits would be advisable before extensive use. The same remarks apply to foxtail millet bran utilization in rabbit feeding, as a substitute for wheat bran (Lebas, 2012, personal communication).